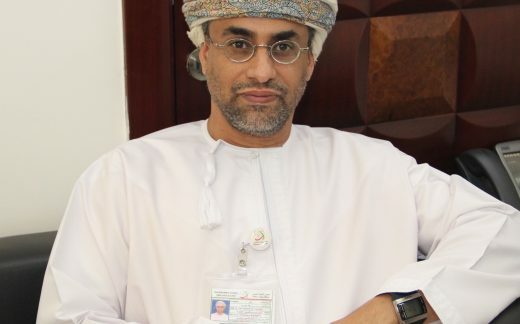 Dr. Al-Hiddabi graduated in 1992 from Sultan Qaboos University (SQU) -Oman with a B.Sc. degree in Mechanical Engineering. In 1995 he obtained his master degree in Aerospace Engineering from the University of Michigan, Ann Arbor and in 2000 he obtained a PhD degree in Aerospace Engineering and an additional master degree in Electrical and Computer Engineering both obtained from The University of Michigan, Ann Arbor. In addition to teaching & research at SQU, Dr. Al-Hiddabi served in the position of Assistant Dean for Postgraduate Studies and Research at the College of Engineering from 2002 to 2006. In 2007, he was promoted to the level of Associate Professor in the Mechanical and Industrial Engineering Department. In 2008 he was called to serve in the position of Assistant Secretary General for Research & Scientific Programs at The Research Council of Oman. Dr. Al-Hiddabi research interest is in the area of nonlinear systems analysis and control with focus on design and implementation of advance nonlinear control for complex systems. He received several invitations from reputed academic and research institutions from around the world to collaborate in research areas related to his field. For example, he served as a Visiting Researcher in RWTH Flight Dynamics Institute, Aachen University of Germany in 2003 and a Visiting scholar in the Aeronautics & Astronautics Department of Stanford University, California, USA in 2005 and as a Visiting Professor in the Aero-Astro Department of Massachusetts Institute of Technology (MIT), Boston, USA in 2007-2008. Dr. Al-Hiddabi published more than 40 research papers in well reputed scientific journals and conferences (search for hiddabi in Google Scholar) as well as many technical reports and continuously contributing to the advancement of Science and Technology.